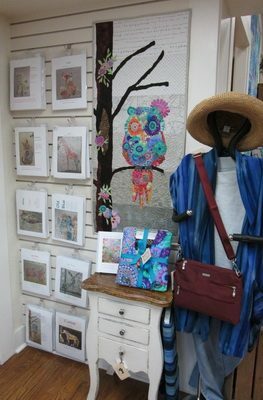 We have had such fun with the Fiberworks patterns by Laura Heine. 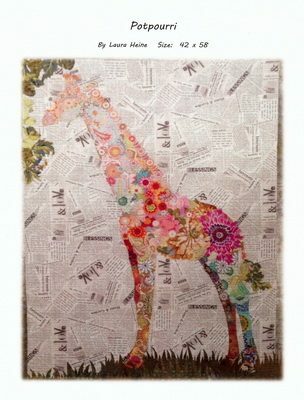 If you have ever wanted to try fabric collage these are great patterns. 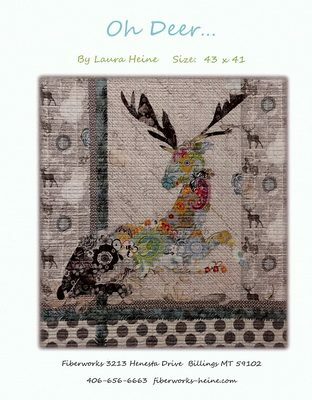 Laura Heine has designed some great patterns to use with her fabric collage techniques. 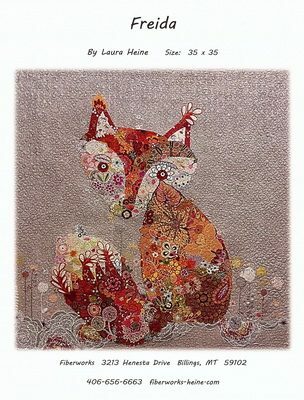 If you love dogs, cats, pigs, horses, old cars, owls or even foxes you will be in luck with her patterns. Laura gives you the basic techniques and then sets you free to use your own creativity along with your selection of fabrics to cut and fuse your way to a collage work of art. We did Cora, the common owl, as our model. She is one of the smaller patterns so the project seemed more attainable. If you are unsure of your fabric choices, we have made a kit for Cora with the same fabrics we used in our model. There are good pictures so you can see the fabric placement. Visit our website at Fiberworks to order the kit for Cora or any of Laura’s other patterns. You will also find a great little book to order with lots more detail about fabric collage than just the pattern. These are just a few of the Fiberworks patterns we offer online. Be sure and check them out on our Fiberworks Patterns page.